Polartec’s brand new revolutionary Power Air fabric is revealed this week as the centerpiece to Swedish outdoor brand, Houdini Sportswear’s, new Power Air Houdi. 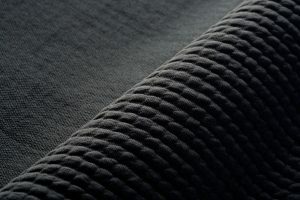 A next-generation fleece jacket which sheds five times fewer microfibres than other high-quality fleece and only a fraction compared to regular fleece. The result of an innovation project by Polartec and Houdini, the Power Air Houdi will be launched on January 31st at www.houdinisportswear.com. “As we joined forces with Polartec to innovate the next generation insulation fabrics our intention was clear – to take on the issue of microfibres while simultaneously elevating performance. The launch of Power Air is a true milestone. After intense ideation, R&D and field testing we can finally present the end-result – a next-generation stretch insulation garment with superior layering comfort featuring an air-trapping fabric strictly made out of continuous filament fibres”, says Houdini design director Jesper Danielsson. The Power Air Houdi owes its fit and aesthetics largely to a long-standing Houdini favorite, the Power Houdi. With a slim fit, a snug high collar hood and extended sleeves with thumb loops, it’s perfect layering or to wear on its own.